I wake up with a start. I have been dreaming again. In my dream, a big group of people from my home church were sitting in a circle, eating cinnamon rolls and talking. I shut my eyes again and try to swallow that sick feeling that is so familiar. My mind resists, and brings up more scenes. My kids happily going to Sunday school, big classes of nice Mennonite kids and stellar teachers. Will teaching, as he so loves to do. I think of canning pears with another mother in church, and going to garage sales with my sister. Sleep is gone now, so I get up. I get dressed, and wander out to the kitchen to make some breakfast for Will and me. We sit in the quiet glow of the dining room. My hand picks up my English muffin and quivers a little. Then the tears begin to fall. I want to go back! I cry. “Do you really want to go back?” Will asks kindly. No, I don’t want to go back to some things. But I want to go back to my friends. People I have a history with. I want to go to a church that I’ve gone to for forever. I want to have ten ladies I can call anytime for babysitting. We talk, and I find enough courage to clear the breakfast dishes as Will leaves for work. I think about the fact that every time we try too hard to fit in somewhere, it backfires. I also remember how I felt the last time we were at our home church–the temptation to return to the easy life. Teach a Sunday school class full of wonderful Christian women? That would be so easy! Just easy-peasy! Sure, I’d do it, anytime! What, our church is starting small groups?! That sounds like fun! So painless to associate with people I understand. The other young couples are planning a campout! I want to go…it’s been a while since I’ve had a chance to just relax. But here I am, feeling like a stranger and sojourner on the earth. I am a stranger and a sojourner among you; give me a burial site among you that I may bury my dead out of my sight. Hear my prayer, O LORD, and give ear to my cry; Do not be silent at my tears; For I am a stranger with You, A sojourner like all my fathers. “The foxes have holes and the birds of the air have nests, but the Son of Man has nowhere to lay His head. Jesus wandered from place to place, teaching and healing and bringing the message of peace. He bucked the religious systems of his time. He associated with rough people that he didn’t have much of a history with, either. Thinking about this doesn’t make me feel less lonely. And yet, I feel a bond with God’s people as I hear this strain of loneliness wail across thousands of years. Maybe this is how life is supposed to look. Maybe that nice, warm, comfortable feeling of belonging somewhere where you’ll never leave is an aberration of Christianity. This is how I feel when with Mennonite people: a sense of dislocation; a feeling of foreignness; a living of stranger-identity. And then when I am with non-Mennonite people, I feel more at home and comfortable. 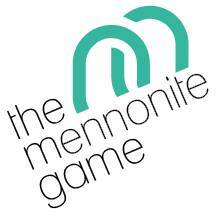 The trouble is, non-Mennonite are no longer at ease with me wholly: I left them, and now look very different. So it is a strange path to walk, isn’t it? There is always a space of aloneness in the soul that each must inhabit. “There is always a space of aloneness in the soul that each must inhabit.” That’s so true, Tamar. Sometimes aloneness happens as a result of life’s circumstances. But other times we choose that which makes us lonely in order to follow Jesus more fully. That’s hard. I feel you, Rosina! You know, most of my spiritual heroes were often lonely, uncomfortable, and misunderstood. It wears on you on every level, but mostly emotionally, which is what you seem to be feeling. I have those moments myself, and wonder briefly if it’s worth it, and then I become rational and pull myself up by my bootstraps, to keep walking. I would love to communicate with you privately about this. Is that possible? Yes! Email me anytime! I’d love to hear from you! Oh, yes. This has been me, too…”I want to go back. I mean, it’s not that I actually want to go back, but…” The comforts of familiarity, of easy laughter, of conversations with people who think the way you do or simply believe the same world view, children playing safely with friends, sharing a meal with friends where women collaborate to bring food and beauty to the table–they all sound so good. Sometimes I don’t even realize how much I’m missing them until I see one picture of a pan of muffins ready for sharing with friends. Blessings as you sacrifice comfort and wait patiently for your community of relationships to form. Thank you, Christy! Your understanding makes me feel less lonely already. Rosina, I can echo you and Christy both. This weekend we visited a home set at the end of a quiet road, surrounded by woods and a creek, a lovely place with privacy and space for children to grow. I ached with longing for a setting like that, a home that is ours, to renovate and cultivate and make beautiful, walls soaked with years of our family’s memories. And with good friends and decent shopping not far away. Instead, we’re here in those awkward early years in a new place, still settling into yet another house, trying to find friends, slowly building our support system. I’ve decided I’ve got to be the one to make most of the first moves, to invite ladies over for sewing or crafts or a movie or a meal. It’s investment in the future, working towards those deep, sweet, long-term friendships. And I actually derive some soppy comfort from the song, “I Need No Mansion Here Below,” and I sing it and cry a little and look forward to the soul’s true home, where all these longings will be fully satisfied. I like your focus on investing in the future! Oh yes, loneliness. I get it, too. Lonely for the country, lonely for Dutch Kitchen cinnamon rolls, lonely for those babies at home who are growing up and I don’t get to take them rollerblading, lonely for Angie’s kitchen and those goats, lonely for MY MOM, lonely for real singing that is on-pitch, not to mention the man we tucked into bed for his long sleep almost two years ago. Those things are replaced by New Things. They aren’t the same, but they’re also good. There are cows in a field behind our apartment complex. Sometimes I go visit them and listen to their loud breathing. A bakery down the street offers very nice cookies. I am learning to know a few nice children. Steph’s kitchen is ample and inviting. There is no real mom here, but I do have Judith and Shirley and Malvina and Steph, who are kind and motherly. We have recordings if my music, even if it’s just Oasis on YouTube. But it helps. And then there’s dear Ryan who loves me and is my best one. It takes a while to get used to the New Things, and eventually they will become My Things. In the meantime it’s uncomfortable, and I’m afraid there always will be some discomfort. Maybe someday the discomfort will become one of My Things, too. It is hard to move somewhere and you do not have that sense of home. How many times I have said those exact words…I want to go back…and then my husband will say to me, “Go back to what?” My father has gone on to his heavenly home, my family is now scattered elsewhere. I miss our little home where we started our family, and just the familiarity of “home”. There are times I can feel so alone here because I did not grow up here. I do not have that “history” as others do. However, in our journey that began over four years ago, I am so thankful for the amazing people that I have met along the way. I, too think of Abraham and Sarah, but also Ruth and Naomi. I’m so glad to have met you Rosina, and I absolutely love reading your blog! Rosina, a number of posts have gone by that I’ve wanted to respond to, but didn’t. I can identify–we’re where we want to be, but there’re a lot of things that pull. I’ve been thinking nostalgically of Christmas…and it’s still October! For what it’s worth…I don’t know much about your current life other than what I’ve picked up through your blog, but from what I know, I think you’re pursuing a dream I’ve nursed for a number of years: people with roots in the KS Amish-Mennonite community stretching those roots a long way (and yet “close to home”), engaging with new communities, gaining from and bringing value to new contexts. The “stranger’s” path is often a weary one…but even for those who don’t physically move to another place, God’s path is a lonely one. But it’s one shared with a rich community of “aliens” across geography and time, and even the losses and the stresses become a part of who one is. And often, I suspect, the loneliness and the alienation aren’t alleviated simply by living in one’s own culture. Don’t worry, I like to hear from the Y chromosome, too. 🙂 I skimmed the articles you recommended today while sitting in the waiting room at the dentist’s office. They are very good! I will return to that blog for a closer read. You’re right about the loneliness not being alleviated by simply living in one’s birth culture. I feel culture shock here in ML, but I also feel it when I go back to Hutchinson. In a way, experiencing culture shock there seems worse than feeling it here, perhaps because it’s unexpected.